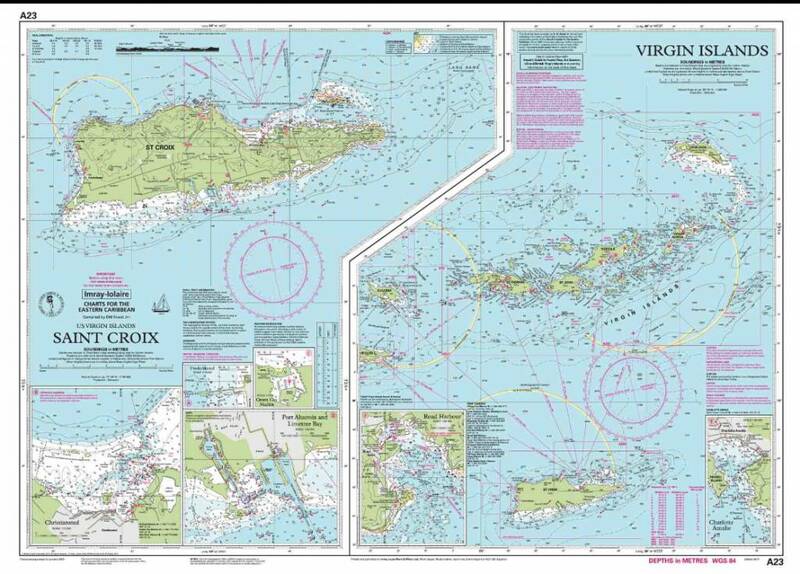 This Imray-Iolaire chart of the Virgin Islands and St. Croix is printed in color and uses official surveys and notes based on local knowledge. This water-proof chart also features information on passages and anchorages as well as details of facilities for voyagers in the Virgin Islands. 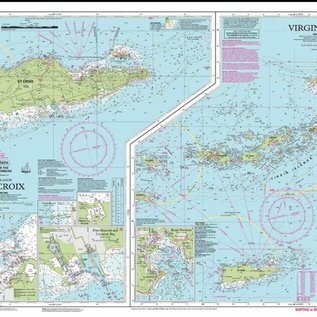 This Virgin Islands and St. Croix chart includes large scale inserts of Christiansted, Port Alucroix and Limetree Bay, Frederiksted, and Green Cay Marina. This Imray-Iolaire passage chart for the Eastern Caribbean is printed in color on treated water-resistant paper and folded for efficient storage.